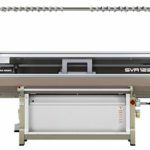 Karl Mayer is setting the standard in the nonwovens sector with its new RACOP-NW machine series. 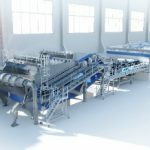 These high-speed raschel machines bond fibrous webs to form nonwovens using two or three guide bars, thus offering all the usual advantages of knitting technology over other processes. This process, therefore, produces textile characteristics, such as elasticity and voluminosity, which is not the case when using chemical bonding agents. Considerably less energy is consumed compared to thermal processes. The new RACOP-NW models also combine flexibility with maximum productivity – factors that have led to their widespread acceptance by the market. Karl Mayer sees sales opportunities mainly in reusable shopping bags as an alternative to plastic bags, as well as hygiene products, such as cleaning cloths and hook-and-loop fastenings for babies’ nappies. 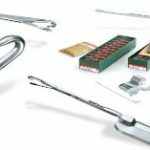 Technical applications also offer a wide range of end-uses, such as cable sheaths in the automotive sector, filling and insulating materials, such as for mattresses, textile surfaces for carpet tiles, and linings and interlinings for shoes and clothing. The first models in the RACOP-NW machine series are the RACOP 2-NW and RACOP 3-NW. These machines are available in the gauges of E 12, E 14, E 22 and E 28, and with a working width of 160″ initially. Wider working widths and optional electronic guide bar control are being planned. The EL function significantly increases the range of patterns and constructions that can be produced, and thus extends the potential of the new raschel machines for use in web bonding. These machines process feed webs and other carrier substrates that can be pierced in thicknesses of up to 5 mm. A device for forming pile loops is optionally available to cater for special applications, and fabrics with special specifications can be produced. In addition to being versatile, the RACOP-NW machines are also fast, and operate at a maximum speed of 2,000 min-1. The RACOP 2-NW and RACOP 3-NW machines are available to order immediately, and four machines have already been delivered. 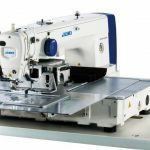 The new machine series will make its debut at an in-house show to be held at Karl Mayer’s headquarters in Obertshausen during Techtextil 2019 from May 14th to 17th in Frankfurt.